From the beautiful and decorative exterior to the decadent and delicious inside, the Ultimate Chocolate Cake is a gourmet dessert to remember. 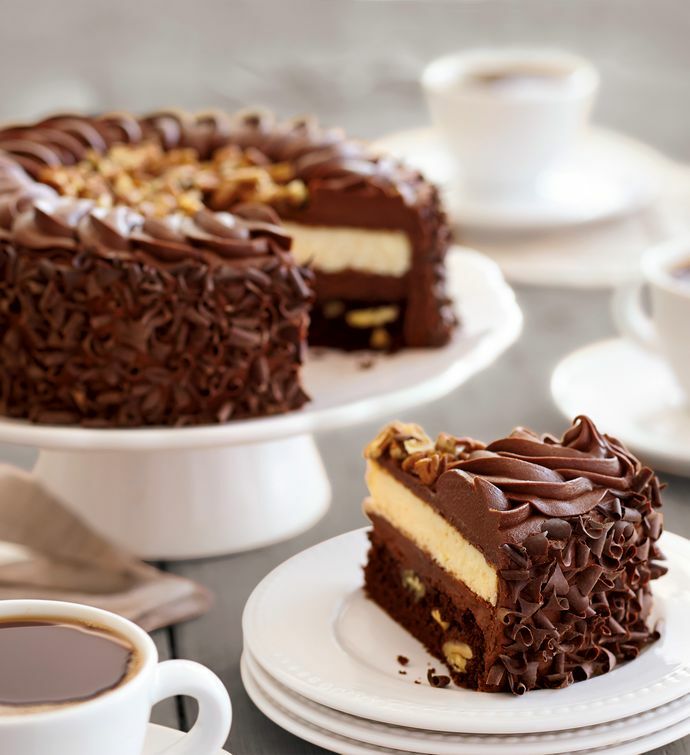 The first layer is a rich brownie fudge cake, topped with a layer of light and fluffy New York-style cheesecake, and fudge filling in between. Top it all off with fancy fudge frosting and pecans, and you have a chocolate cake that memories are made of.